The Canadian subsidiary of General Motors tried to stop an autoworkers' union from airing a critical TV commercial during the Super Bowl, but the union moved forward with the ad regardless. The 30-second ad, paid for Unifor, calls the automaker greedy and "un-Canadian." It was broadcast on Canadian TV stations during Sunday's game. 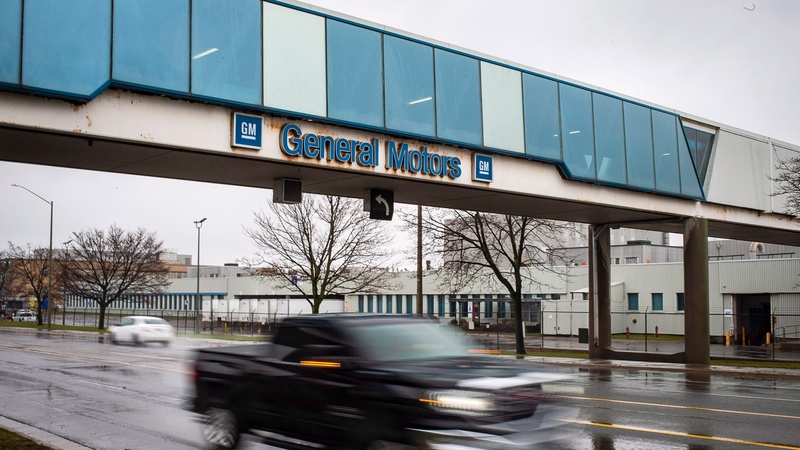 GM (GM.N) sent a cease-and-desist letter to Unifor on Friday giving it a Saturday deadline to stop using the ad, but Unifor president Jerry Dias said Sunday that the union had no plans to back off. "I didn't pick this fight, GM picked this fight. I'm going to do everything humanely possible to get their attention," Dias said in an interview. The commercial accuses GM of continuing to expand in Mexico while leaving Canadians "out in the cold," and also references the federal government's 2009 bailout of GM and Chrysler. A statement from GM on Sunday said the company respects the union's right to protest, but accused the Super Bowl ad of "misleading the Canadian public." Dias said the union hopes to continue bringing attention to the closure by buying more airtime for its ad on other programs, such as the Golden Globes and Maple Leaf games. "They can bring all the lawyers they want. They're not going to win this in a courtroom," said Dias. "We are not going to fold and they can sue all they want."